David Nunan is Emeritus Professor of Applied Linguistics at the University of Hong Kong. 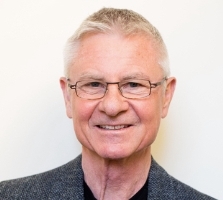 A former president of TESOL, David Nunan is an internationally-renowned figure in the world of applied linguistics, and has published over 100 books and articles in the areas of curriculum and materials development, classroom-based research, and discourse analysis. His non-academic books include Roadshow, When Rupert Murdoch Came to Tea, and Other Voices, Other Eyes: Expatriate Lives in Hong Kong.